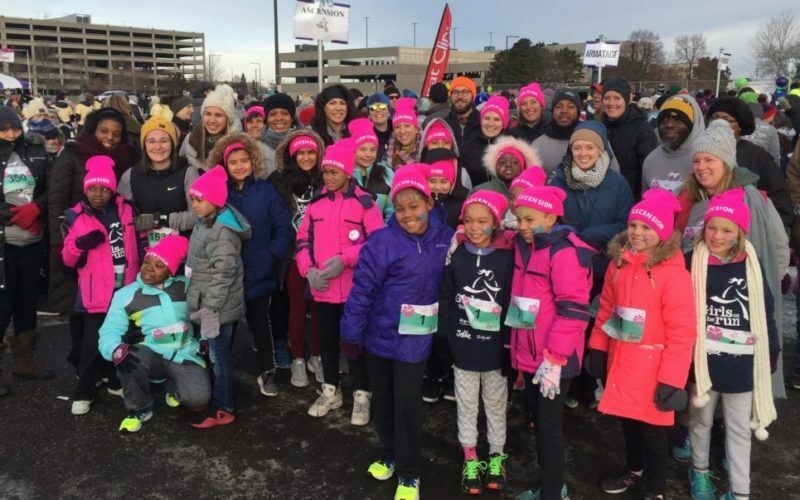 Ascension School’s Girls on the Run team finished the season with a very cold 5K run on Nov.10 at the Mall of America. 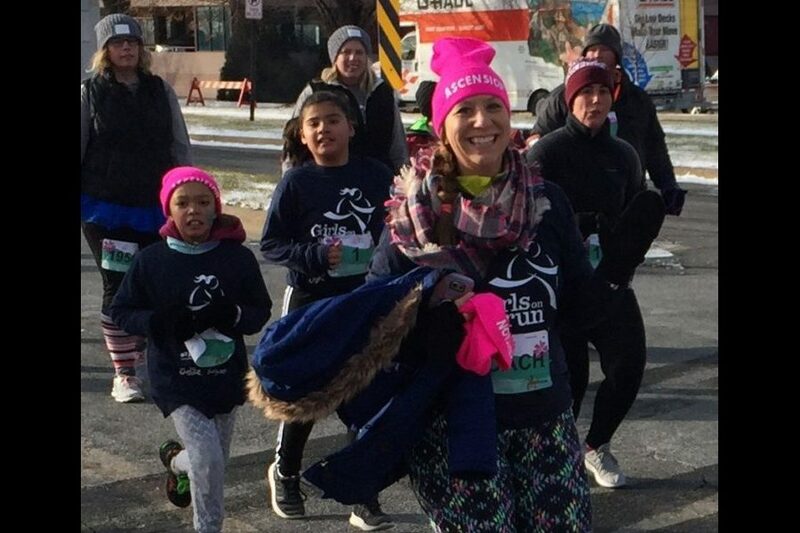 The girls in grades 3-5 and their coaches had worked for 10 weeks throughout the fall to prepare, including running a practice 5K around Ascension school and parish. This is the 2nd year Ascension has participated in the program, which has fall and spring sessions. 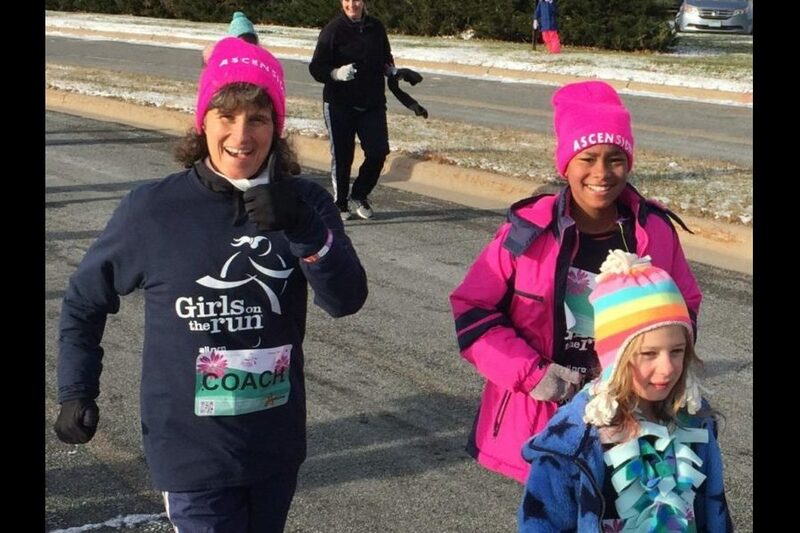 In addition to fitness, the program emphasizes developing the girls’ confidence and character. Congratulations to these scholars and their coaches. 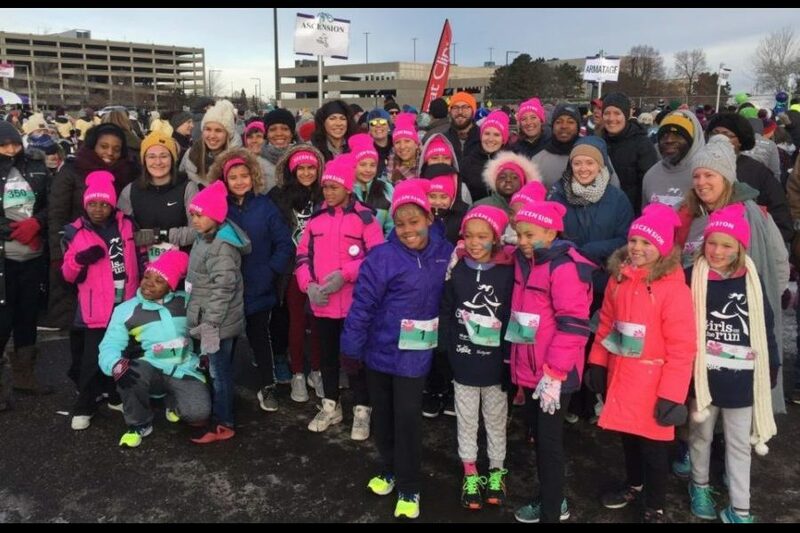 Ascension's bright pink hats unified the team on race day. 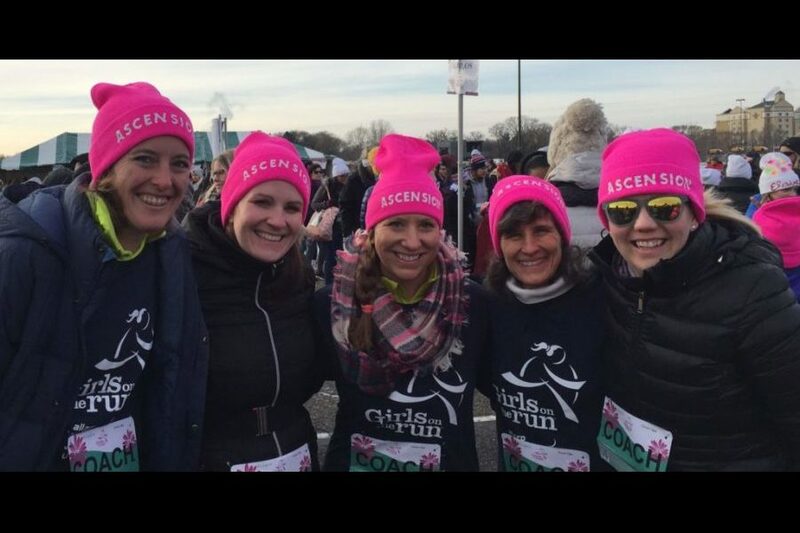 Each Ascension girl had a support person to run with them. 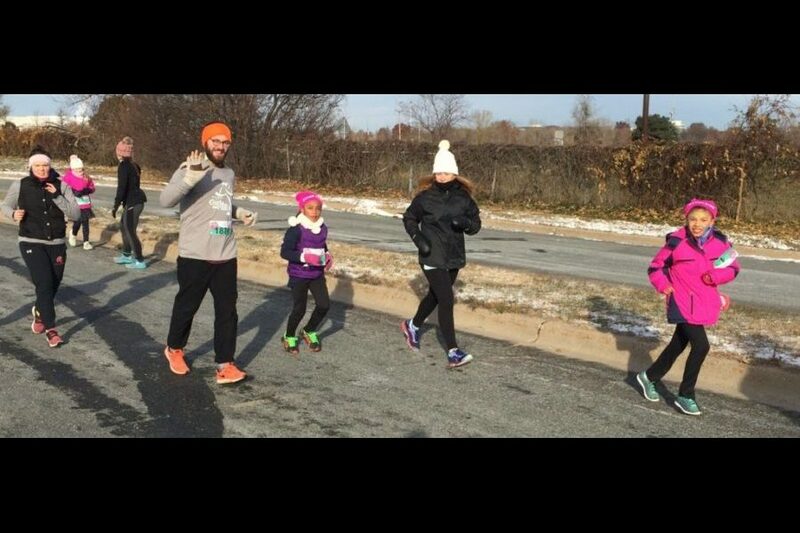 Teacher Blaise Younce came along for the run. 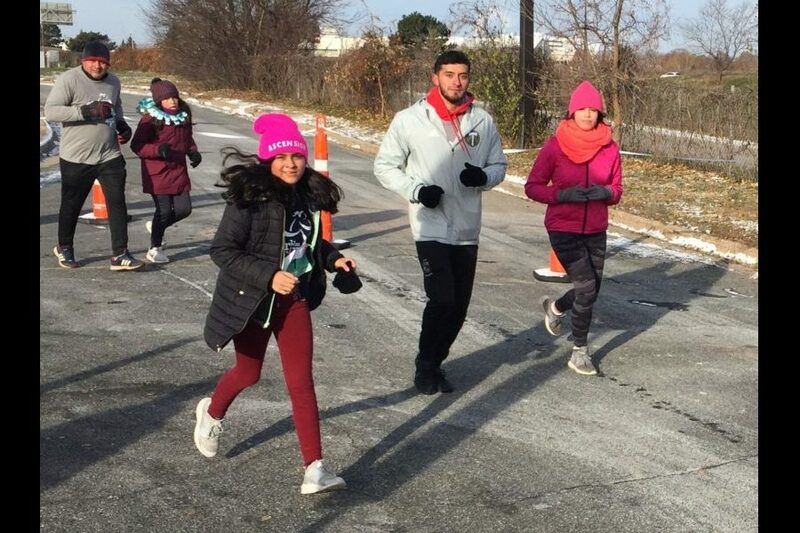 The runners never expected temperatures like this when they began this fall. 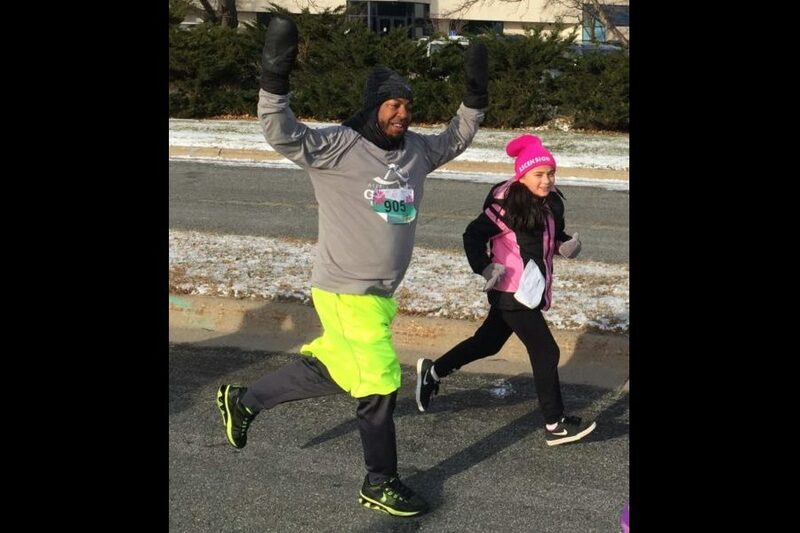 Running on a cold day DOES warm you up!